As part of the RRSV 2019 Annual Meeting, the Network developed a new student competition: « A wink on my research« . 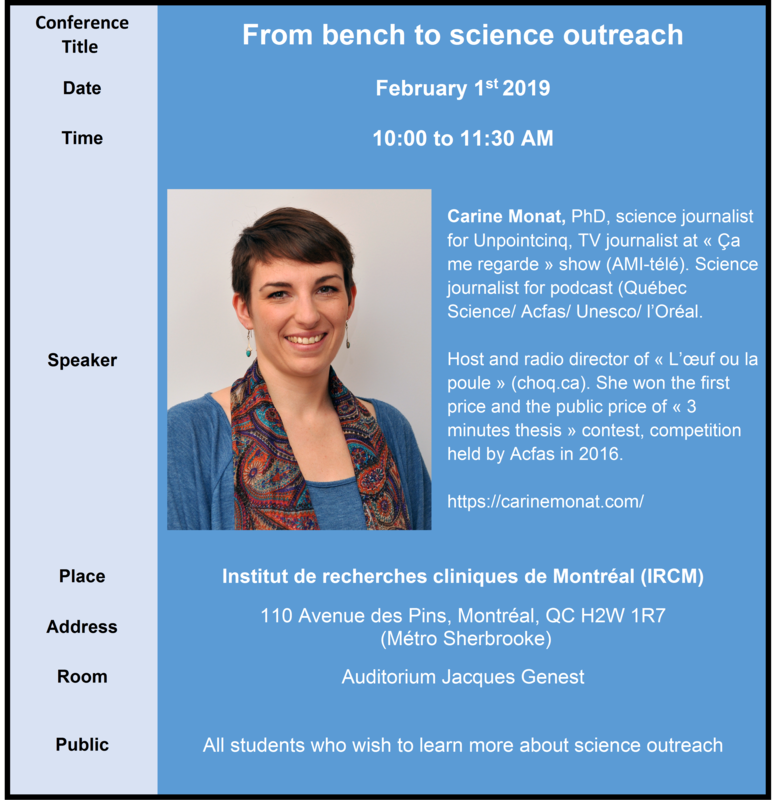 This science outreach competition will provide a unique opportunity for Network students (BSc, MSc, PhD, Post Doctoral Fellow, medical students) to present their research in 3 minutes. They will have to present their research project in a concise and clear way, in front of a diversified public. A special prize will be awarded for the best performance during the meeting. In order to prepare its students for this special activity, the Network set up a training course in science outreach and invited a science journalist, former VHRN Student Member. This unique training will enable young researchers to improve their oral communication and science outreach skills by providing them with tools and valuable advice. NB : The training will be given in French and English (if needed) and broadcast via Facebook.